Not only in terms of screen size but smartphone have been also waging a fierce competition in terms of the best smartphone camera . No doubt cameras have evolved way too much and today they combine a plethora of features and also at the same time they remain portable . Looking back towards a few years down , today’s camera have a cartload of features in them , all packed into a small form that we can hold comfortably in our hands . Similarly smartphone cameras have also been shrunk in size but the technology and specifications keep increasing in spite of their size . Today we have seen a smartphone camera to come with as much as 41 Megapixels . All that Megapixels is squeezed into just a few millimeters of space . Performance wise a few years back using a smartphone camera meant sacrificing the quality of photographs , but today smartphone cameras are capable of capturing and recording in HD formats and many of them also support HDR video capturing . Technology has blessed smartphone cameras more than anything , apart from increased photo quality , smartphone cameras are now being introduced with an option for detachable lenses too . The very first lenses being developed by Sony , which was launched recently at IFA berlin .Its been too much talk , lets take a look at the 5 best Smartphone cameras in the market till today . After losing much of the market share to Android and iOS , Nokia has been mainly emphasizing on Smartphone photography to sell its Smartphones . Due to constant innovation with smartphone camera technologies , Nokia undoubtedly has the best Smartphone camera today . The Nokia Lumia 1020 is an perfect example of how smartphone camera have developed . 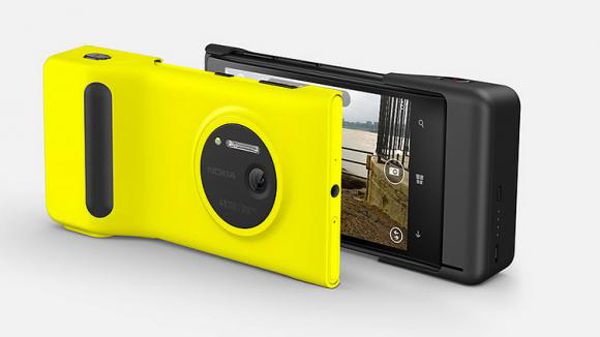 The Nokia Lumia 1020 has a whopping 41 MP camera with a sensor size of 1/1.5 inch and an lens aperture of f/2.2 . With all these camera specs the Nokia 1020 is capable of capturing amazing photographs , which can be very much comparable to what an entry level DSLR can offer today . What amazes the most about the Nokia Lumia 1020 is its capability to capture excellent photographs even in low light conditions , all that credit goes to its f/2.2 lens aperture . If you are looking for an all round smartphone capable of capturing great photos whether its daylight or night , the Lumia 1020 is definitely the best smartphone camera for you . 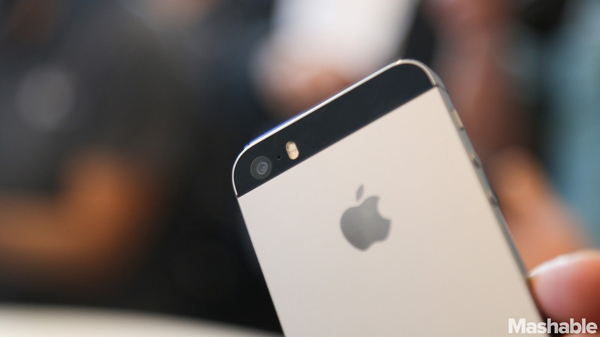 The Apple iPhone 5S release took the limelight as usual , This time around the iPhone 5S did come out with a improved camera but still sporting the same 8MP camera as the older iPhone 5 . The new iPhone 5S now has an improved 8MP camera with a lens aperture a f/2.2 , which is a ¼ improvement over the iPhone 5S’s f/2.4 aperture .Thus it allows more light to enter through the lens , providing improved results in low light photography . The new iPhone 5S also features a true tone flash , which according to apple helps to capture better photos while using the iPhone 5S’s inbuilt flash . Other features include an auto stabilization feature to capture fast moving subjects and a new Slow motion video recording capability up to 120 Fps at 720p resolution . Again This is something that DSLR aren’t even capable of , So owning a iPhone 5S gives you an advantage over DSLR’s here . Its hard to believe that the HTC One comes with a mere 4MP camera when its competitors are boasting about megapixel counts over 40 . There is nothing strange here , the HTC one might have a 4MP camera but it has got a new technology under its sleeve . The HTC one makes use of its new Ultrapixel technology , The concept is that the pixel size is large, hence there are fewer of them, so that you get 4 “ultrapixels” on the same size sensor that also could support 13 “normal” megapixels . So basically it will provide the same results as a 13MP camera on any other smartphones . 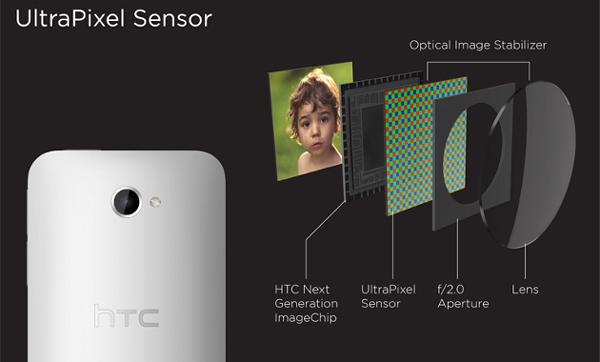 The HTC one has a lens aperture of F/2.0 that makes it an ideal low-light imaging smartphone camera . Other features include 1080p video recording capability from both the front and rear cameras , HDR video recording capability and even slow motion video recording capability with variable speed playback . 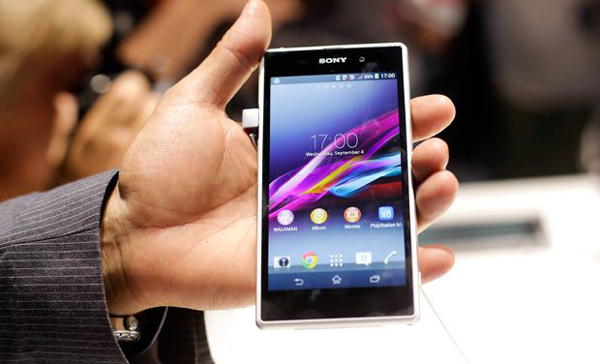 The Sony Xperia Z1 is Sony’s latest Smartphone camera offering . The Sony Xperia Z1 boats of a 20.7 MP camera with a 1/2.3″ Exmor RS sensor and F/2.0 Sony G Lens . These specs make it the Sony Xperia Z1 the best android smartphone camera till now . The F/2.0 lens aperture should make this phone an ideal companion for low light photography at night .The Xperia Z1 uses a wide-angle (27mm) Sony G Lens camera . It seems Sony has equipped the Xperia Z1 with all the latest technology they have in store . In terms of video recording the Xperia Z1 can record videos at 1080p from both the rear and front cameras . Other features include a panorama mode and augmented reality effects , which for sure the children are going to love them . Overall the Xperia Z1 provides impressive image and video capturing abilities and for the time being it is the best Android Smartphone camera . If you are a photography aficionado then the note 3’s camera will be the only thing you need for all your photography needs on the move . 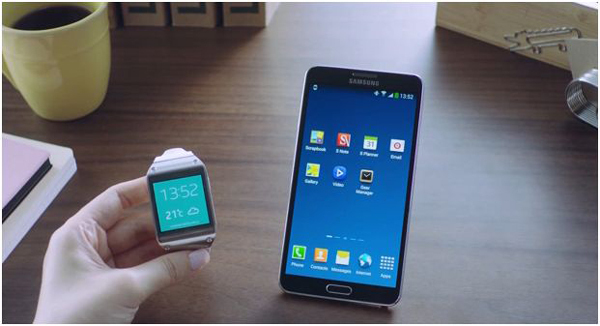 The Samsung galaxy note 3 has 13 mp rear facing camera and a 2MP camera on the front . Its not just an ordinary 13 mp camera , its an technically superior 13 mp camera , which apart from recording 1080p videos at 60Fps is also capable of recording videos at 4K ! ( 4096 × 2160 pixels ) . 4K is a next generation resolution standard for most upcoming televisions and displays . If you’re going to buy a high end television or display any time soon , its possible that it will be able to play 4K videos .